At Edwards Chevrolet 280, our mission is to make life less complication for you and meet all of your unique needs. To accomplish this, we offer our 2 years of complimentary care with all new and used vehicle purchases, lifetime parts warranty, and the upmost commitment to excellence in customer service. 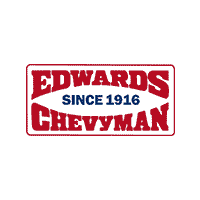 Serving Alabama for over 100 Years, Edwards Chevrolet 280 is committed to keeping your Chevy running like a Chevy. From oil changes to transmission replacements, we are dedicated to maintaining top tier customer service. We stand behind GM Original Equipment products, and many auto parts are backed by our Limited Lifetime Parts Warranty. If select auto parts are replaced by Edwards Chevrolet 280 in a customer-paid transaction, the part is covered by our Limited Lifetime Parts Warranty. If the eligible auto part ever needs to be replaced, the Limited Lifetime Parts Warranty will cover the cost of the new auto part. Edwards Chevrolet 280 Service Department Chevrolet Visit our Chevy Service Center at Edwards Chevrolet 280 for certified Chevrolet and GM service repairs. Call us in Birmingham, AL to learn more about the service coupons available.